BMW has officially launched the 8 Series in select European markets. The flagship luxury cruised has been priced from £76,270 (Rs 67.74 lakhs) on road for the entry-level six-cylinder version. Production for the new 8 Series began earlier this year at BMW’s Dingolfing plant in Germany. Some of the unique innovations that have been integrated into the production process are the self-driving transport systems and smart devices. 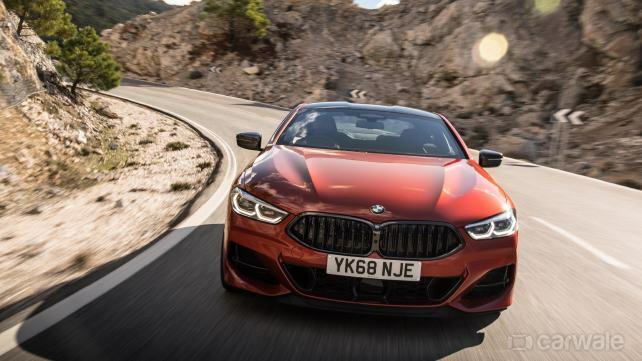 BMW also revealed that the 8 Series uses lightweight construction – a process that involves using a mix of materials such as steel, plastic, aluminium and carbon fibre in the body-shell of the new sports car. Two engine options are available on the 8 Series. The M850i will get a new version of the existing 4.4-litre eight-cylinder petrol engine that has been completely redeveloped to make 530bhp and 750Nm of torque. Meanwhile, the 840d will be powered by a 3-litre in-line six-cylinder diesel mill that produces 320bhp and 680Nm.